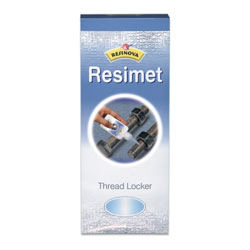 For the diverse requirements of our clients, we offer effective range Anaerobic Thread Locker Adhesive. Suitable for low strength retention of threaded fasteners, offered adhesive is processed by our vendor professionals utilizing the finest quality chemical compounds and sophisticated technology in sync with set industry norms. Available in various packaging options, provided adhesive is strictly tested on varied parameters so as to ensure its purity. Established in the year 2003, Classic Marketing is a renowned Wholesaler, Supplier and Trading firm that work closely to provide high quality Adhesive,Epoxy Adhesive,Silicone Sealant and various types of Tapes to our prestigious clients. The product range which is driving our company growth consists of Epoxy Resin & Hardener ,Epoxy Adhesives, Anaerobic Adhesive, Sealant,Tapes,Spray Paints, Car Care Products and Cyanoacrylate Adhesives. The secret behind our enlarged footprint lies in the endless benefits that our offered range of products provides. We are best known in the industry to supply adhesives with superior bonding quality, moisture and impact resistance features along with a promise of durable and reliable fastening aspects. We are continually at work to cater a wide assortment of heavy duty adhesives that recognize the specific client's’ requirements and strengthen our position in the industry. Our prowess to understand the complex market needs and efficiency to supply such demands is all due to our spacious inventory units and highly connected distribution network. We owe a sincere gratitude to our highly skilled sales and marketing professionals, that ensures growth and competency with their every effort. The way we answer the ongoing requirements in terms of time and economical aspects, has ensured us a satisfied clientele. We incredibly take pride in being the first choice of our clients.